Mexico City -- In wide-ranging discussions over three days last week, journalists from 6 Latin American nations spotlighted the media's peculiar religious blind spot in this overwhelmingly Christian region. The Latin American Summit of Christian Communicators (known by its Spanish acronymn CLICC), co-sponsored by The Media Project and Mexico's ENICCE group, focused on the role of Catholicism in Latin American media. "The principal problem for non-Catholic journalists is the power of Catholic clergy in the media. The media ignore everyone else," said Oscar Gallardo, head of ENICCE and the conference's lead organizer. Almost half of the world's Catholics call Latin America home, and so it comes as no surprise that Latin American media and political institutions are highly attuned to Catholicism. 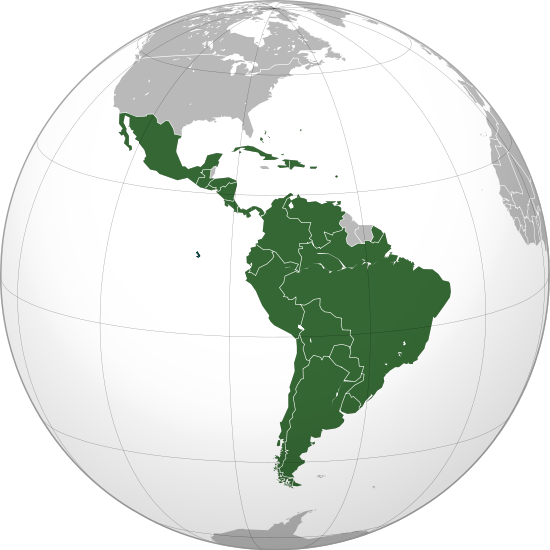 The media rarely look beyond Catholic clergy for reaction to or religious perspective on important events, however, even though non-Catholic denominations are growing very quickly throughout Latin America. One common response to the media's "Catholic myopia" is to create alternative media sources that cater to one or another denominational preference. But some conference speakers called on participants to expand the dialog from within non-religious media for reasons of journalistic excellence. "As journalists in secular media, it's our job to make sure that the public understands that there are options in the religious marketplace and that there are versions of the Christian faith," said panelist and Costa Rican journalist Gonzalo Corea of the Radio Columbia network. "We have to place ourselves in the other person's shoes before we begin reporting," Corea added. "We need to seek a 'tri-empathy' that seeks harmony with God, with our neighbors and with the communicator." While the media's preference for Catholicism varies across the continent, the issue is an especially sore one for Mexico's non-Catholic Christians. The conference did not invite any Latin American Catholic journalists to speak, as a result. "This is a rare opportunity to gather as evangelical communicators and speak honestly about our concerns," Gallardo said. "It's not that we are trying to exlude any perspective. It's just that we hear the Catholic perspective in media every day." Mexican anthropologist Elio Mansferrer called on media institutions to speak honestly about the shortcomings of religious, and especially Catholic, powers and their tendency to abuse their power. At times, he said, media mishandling of religion has less to do with the influence of a particular denomination and more to do with media and intellectuals' discomfort with religious practice itself. "Social scientists sometimes object to monotheistic religions and their desire to proselytize," said Mansferrer. Western intellectuals "believe that religious self-determination is one of the essential human rights." "But we can't indulge in negative terminology," Mansferrer continued. "We want to avoid the trap of arguments whose only choices are 'good' and 'bad'". Besides, Mansferrer added, the reality is that Catholics and non-Catholics live happily side by side in much of Mexico. But despite the strong criticism, the problem of Catholicism's dominant presence in Latin American media is not likely to end soon. Mexican columnist Carlos Martínez of La Jornada said that the Catholic church has achieved a "hegemony" compared to other kinds of Christian faiths, especially in the most marginalized sectors of Mexican society. And the Church is reluctant to let that go. Argentine reporter César Dergarabedian remarked that Catholic schools remain one of the largest producers of journalists in his country, which is the source of Catholic strength in Buenos Aires' media. But in the end, the force that could separate Latin media from the Catholic church might be beyond the control of religious institutions anywhere, and one that brings its own set of media complexities for Catholics and all religions. "The influence of Catholic hierarchy is slowly declining in Argentine media," Dergarabedian said, "due primarily to the secularization of Argentine society".